In 2018, I had the wonderful opportunity to work with Rostrum Records on the deluxe edition LP of Cornelius' Mellow Waves, the legendary Japanese musician's first album in a decade. 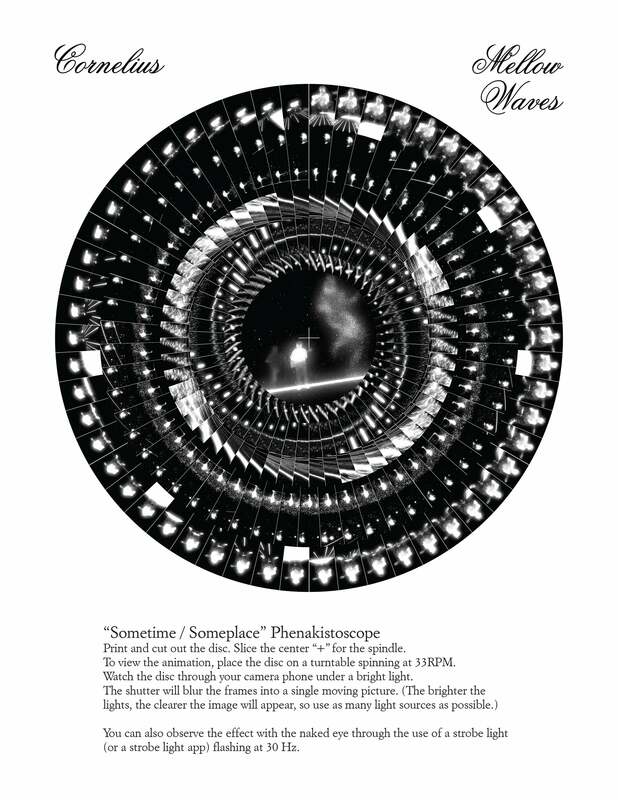 I was able to design the pop-up packaging & phenakistoscope insert. 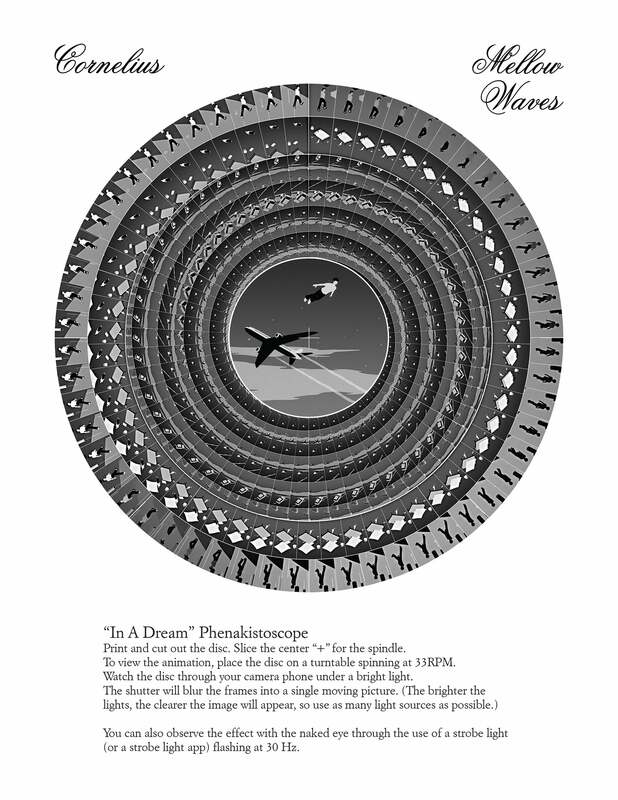 While the final animated print was based on the "If You're Here" video, demo versions were also created based on "Sometime / Someplace" as well as "In A Dream." I'm putting these b-sides up now as DIY downloads to print at home.